Health, Fitness, diet – In the last 2 – 3 years everyone has become conscious about their lifestyle. For some it is about maintaining their ‘body’ and for some it is about keeping themselves fit to increase their ‘shelf life’. Many people make new year resolution as well on these topics. But having said that, if you are a foodie then the urge to eat outside and that too at a Street food outlet becomes the barrier in accomplishing the said lifestyle or resolution. Being a foodie myself, who is trying to get in to a healthy lifestyle, it was really tough not to eat from my favourite street food stalls. 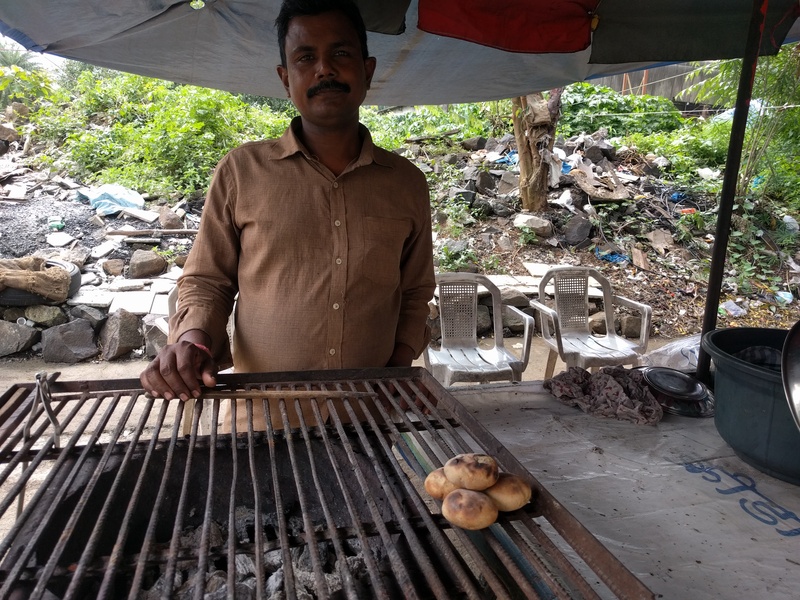 I was delighted when I figured out that there is a healthy street food option – Litti Chokha. Litti Chokha – the staple food of farmers and peasants in Bihar, UP and some parts of MP is a healthy and tasty dish. The earthiness of the dish will give you a rustic feel. The dish itself is healthy and you can’t ask for anything better when all the ingredients are prepared on a grill. 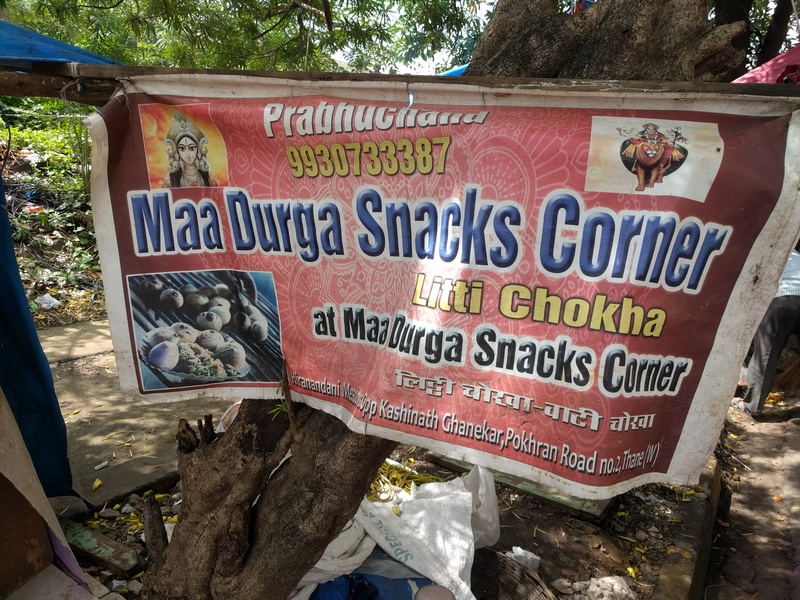 Prabhudas , owner of Maa Durga snacks corner, has been running his small make shift street side outlet for the past 4-5 years. His outlet is located in Thane West opposite to Kashinath Ghanekar auditorium. There are 2-3 ways of making the flour for Litti. The Litti made by Prabhudas is made out of sattu (bengal gram, chickpeas). Once the flour is prepared by him it is then rolled in to small balls (Littis). 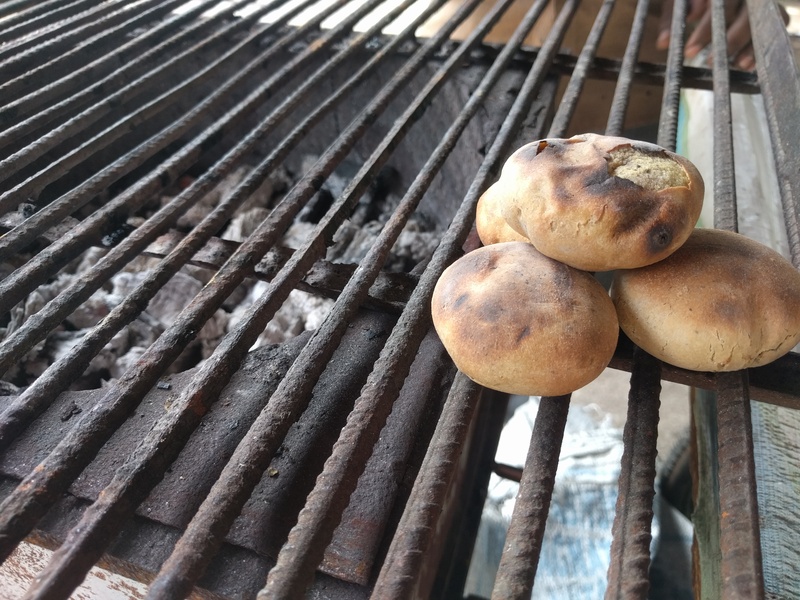 These small balls are then grilled on top a layer of charcoal. Chokha is made out of eggplant (baingan), potatoes , tomatoes, onion, chillies and some special masala ingredients mixed with a tinge of mustard oil. Eggplant, potato and tomato are grilled and then smashed to prepare the Chokha. There is no frying involved which makes the dish healthier. Litti Chokha gives your body fibre, nutrients and proteins. It is low on calories and glycemic index as well. 4 Littis, Chokha, onion and chutney is served in each plate. One plate of Litti Chokha will cost you Rs. 40/-. In case you need some ghee on top then you need to pay extra Rs.10/-. 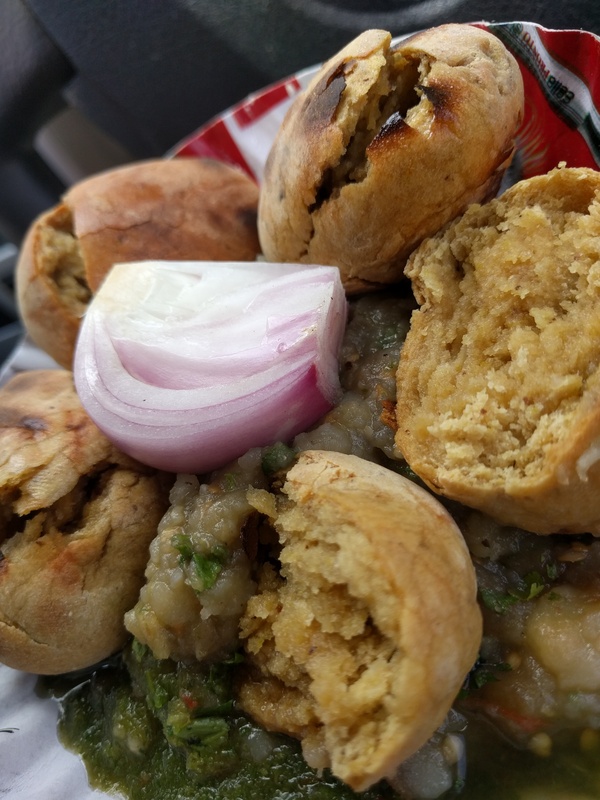 This entry was posted in Food and tagged Bihar, Food blog, Healthy Food, lifestyle, Litti Chokha, Maa Durga, Prabhudas, Street Food, Thane, UP. Bookmark the permalink.